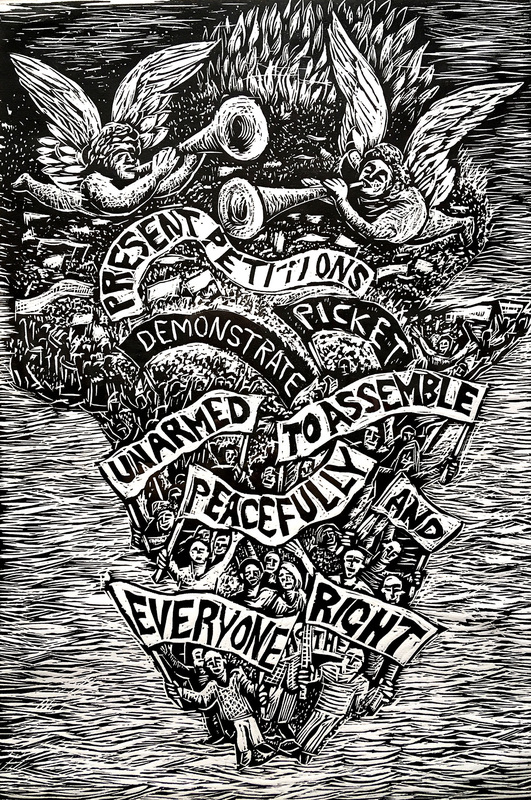 Images of Human Rights consists of a set of 29 fine art prints, each corresponding to one of the 29 clauses of South Africa’s Bill of Rights. Created by artists from around the world, these prints celebrate the protection of civil, political, and socio-economic rights of all people of South Africa. Join us at 5:30PM on Thursday, Oct. 4, 2018, for the opening reception.